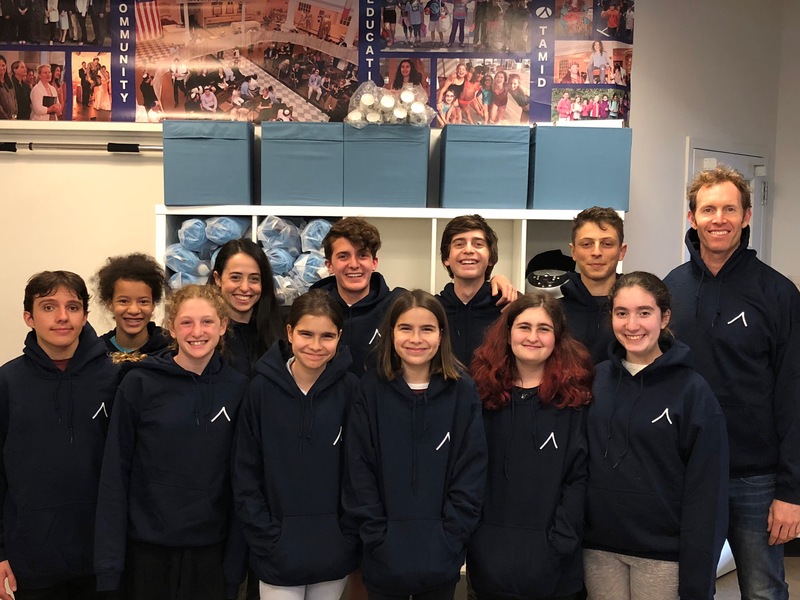 Tamid Teens were awarded the 2018 Presidential Volunteer Service Award. Mazel tov! Hunger is something we see and face everyday. DHAP is a community service project for teens to learn, respond, and advocate on hunger and homeless issues in New York. Students deliver food to the homeless and learn how to advocate on behalf of the less fortunate. It’s a great mitzvah and also a great way to earn community service hours for your school. Students meet one Saturday night per month (6:30pm – 10:00pm) with Jewish educators and rabbis to study and to serve. For Questions: Please email Christina Broussard, Director of Education, if you would like to learn more about this project. cbroussard@tamidnyc.org. Enjoy this fun video from DHAP’s early days . . . The Downtown Hunger Action Project is generously supported by Cheryl Whaley and Eric Aboaf. Thank you to the entire Whaley-Aboaf family for supporting teen service learning and homeless outreach in Lower Manhattan!